Theresa Najjar, PT, NCS is a neurologic physical therapist (PT) who has been working with people with Parkinson’s disease since 2008. Over time, she came to realize the needs of people with neurologic conditions were not being met by traditional insurance-based rehabilitation approaches. 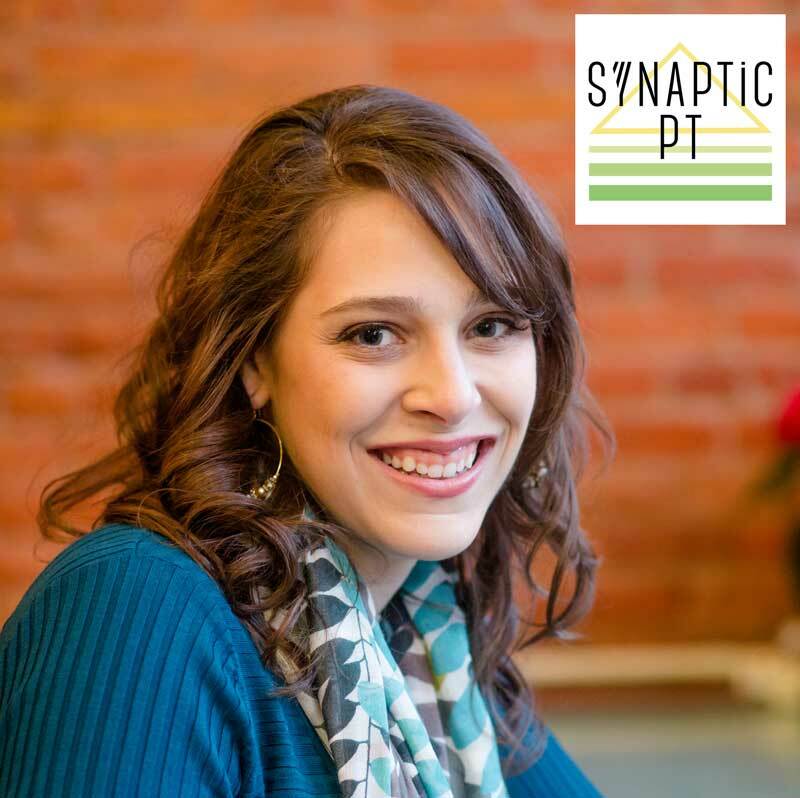 She envisioned a different way of doing things and Synaptic Physical Therapy was born. That’s because patients with Parkinson’s disease (PD) require different treatment strategies such as forced use and amplitude-based approaches (read: big movements) to promote lasting changes in how they move. Theresa feels that traditional outpatient physical therapy is not a conducive environment for making these lasting changes. Theresa went on to explain that many outpatient PT clinics that bill insurance companies hand patients over to physical therapy assistants (PTA’s) and aides once the physical therapist has completed the initial examination and created the treatment plan. PTA’s and aides are an amazing addition to any physical therapy clinic. But in a busy gym environment where therapists, assistants, and aides may be managing multiple patients an hour, a one-on-one approach can be hard to come by. Patients with neurologic conditions need more one-on-one time to make progress than the typical orthopedic PT clinic can offer. When starting Synaptic Physical Therapy, it was very important to Theresa to provide her clients with individualized attention. She sees her clients one-on-one for 60 minute sessions which allows them to receive the intensity and repetition they need to achieve those lasting motor changes. She also travels to her client’s homes for the sessions. She does this to target context-dependent learning, which is when information from the environment affects how a person performs and learns a motor task. Research shows that people with Parkinson’s disease subconsciously use information from their environment excessively compared to people who do not have PD. In other words, people with Parkinson’s disease may overly rely on the context or environment they are in while they are learning a task. This means that someone with Parkinson’s may have more problems generalizing learned motor tasks to different environments or conditions. Because she is not restricted by the limitations insurance companies place on number of visits, she is also able to follow her patients with Parkinson’s throughout the year to check on their progress. She uses a variety of Parkinson’s specific rehab and fitness approaches with her clients to help them achieve success. Besides strength, flexibility, and high intensity interval training, she also uses LSVT BIG, Tai Chi Fundamentals, and Delay The Disease. But her favorite approach by far is PWR!Moves™. This exercise strategy also integrates other essential research-based exercise components to optimize brain health and learning, and to better address all the motor, cognitive, and emotional symptoms of Parkinson’s disease. PWR!Moves™ will be featured under the movement pavillion at Moving Day® Silicon Valley on Saturday, April 25 in San Jose Arena Green. Theresa will also be joining the fun on Moving Day® as an Exercise Ambassador from 9:00 am – 12:30 pm. Come meet her and attend her Moving Day® PWR!Moves™ demo class from 10:00 – 10:20 am. To book an appointment with Theresa, call 408-724-8466 or email her at theresa@synapticpt.com. You can also follow her on facebook and twitter, where she posts information about Parkinson’s and other neurologic conditions. Moving Day is a unique fundraising event made possible by National Parkinson Foundation and presented throughout the country. The goal of the event is to educate the community and bring awareness to the fight against Parkinson’s disease (PD). Register at http://www.movingdaybayarea.org Join one of the existing teams or start a team of your own friends and family! For more information, contact Colleen Fischer, Moving Day® Bay Area Coordinator, National Parkinson Foundation at 925-421-6737 cfischer@parkinson.org.